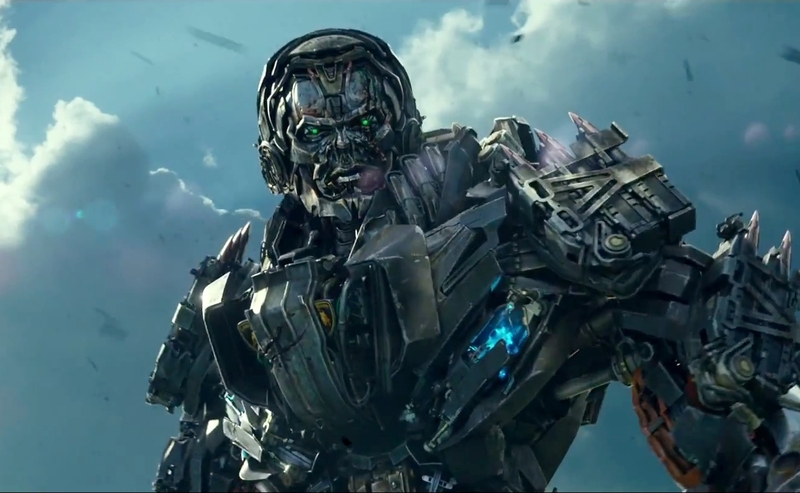 Clevver Movies Youtube channel just released an exclusive TV spot for Transformers 4 Age of Extinction, called ”Invasion”. We’ve seen most of the footage on previous tv spots and trailers but this one includes a very awesome shot of Lockdown as he comes face to face with Optimus Prime for the first time. Check it out below! The Sword of Justice is now blue-hot. I think the heat scale for metal is red-orange-yellow-white-blue? He is like an ape awkward man! Mmm… Yes, perfect. This TV spot is amazing. 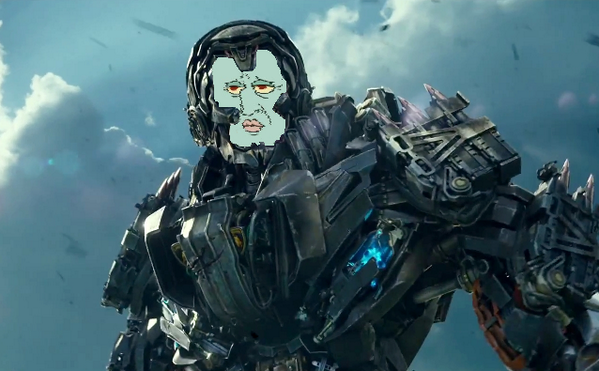 Anyone else notice the smirk on Lockdown's face? BAMF. I feel as if most of my hype is stemming from the potential Unicron mention/cameo that could occur – the trailers seem to be hinting a lot that Lockdown's master could play an important role and it will be disappointing if his master is either not revealed or turns out to be anything that isn't linked to Unicron. Red, any chance that you could get a super high resolution screencap of that new shot of Lockdown? I had sort of an "iffy" opinion of Lockdown when I first saw him, but with every new shot, he gets cooler and cooler! We'll know soon enough who sent LD and for what. Its just the wait that kills us. It is two weeks away. relax. you will survive.